In need of help choosing the right commercial solution? Nilan Calculator will get you on the right track. When selecting the most efficient and economically-viable ventilation system, precise analysis of weather conditions and geographical location are decisive. 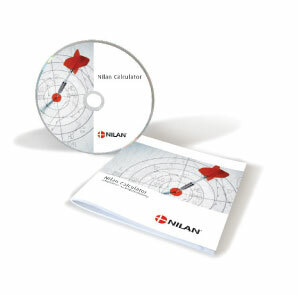 Nilan has developed a unique calculation software program allowing you to carry out realistic and extremely precise calculations that take every factor into account. The software uses so-called DRY data, based on extensive meteorological measurements for the local area in which the installation is to be used. While traditional calculation methods only take into account an installation’s efficiency under extreme temperatures, Nilan Calculator is based on data that presents a straightforward and accurate picture of the climatic norms in which the installation is to function. Variables such as day and week plans and holidays can be entered to provide a detailed picture of when and how the installation will be used. When it comes to selecting the most economical ventilation system, Nilan’s calculation software ensures a precise and trustworthy basis for decision-making.